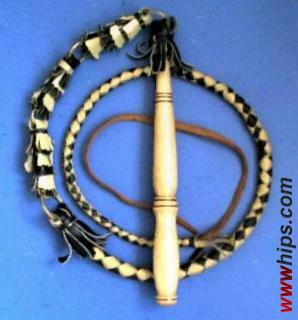 Again a souvenir item, two-tone 4plait thong with cowhide fall. The metal rings are made of some brittle cast metal (zinc, brass plated). Just for decoration, no practical value.